SANTA CLARA COUNTY, Calif. (KGO) -- It was the return of Pianos in the Park at Vasona Lake County Park in Los Gatos on Saturday. Santa Clara County put the pianos in five county parks, hoping visitors will marvel at the novelty in such an unlikely place. "It's one of the most basic sounds that accompany nature and it's really beautiful, anyone can play, so when we see children come out with their parents. It really is a gift to us," said Santa Clara County Parks spokesperson Sandie Day. Local piano stores donated the instruments. The county is partnering with Sunset Piano -- a project to test how music in public settings affects our mood and interactions with others. 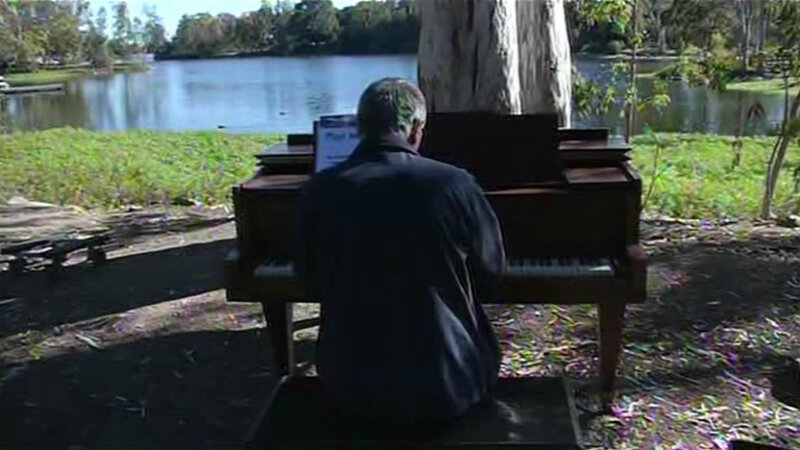 The pianos can be found in five iconic County Park locations: Almaden Quicksilver near the Hacienda Trail entrance, Stevens Creek Visitor Center, Hellyer Park's Cottonwood picnic area, Vasona Park near the sycamore tree by the boat rental area and Anderson Lake at the Live Oak picnic area. The pianos will be in the parks through through October 5, 2015. Local schools, musicians, artists, poets, and user groups are encouraged to spread the word and share the music of life. To reserve a time for a performance, contact Sandie Day at Santa Clara County Parks at 408-355-2238.